In a display of bravado that would make The Black Knight and Kim Jong-un giddy, Florida Atlantic cornerback D’Joun Smith says the Owls would win a rematch against the Huskers. 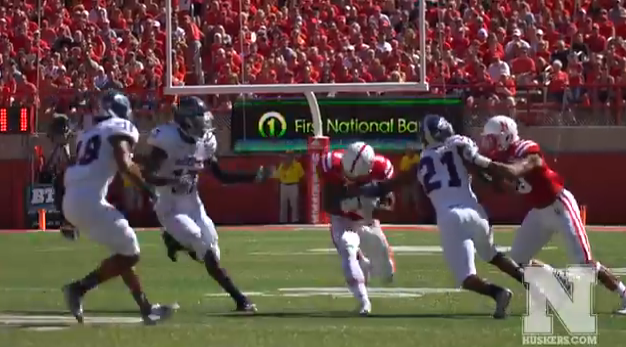 D’Joun Smith tries to escape the clutches of Jamal Turner and bring down Ameer Abdullah with an arm tackle. 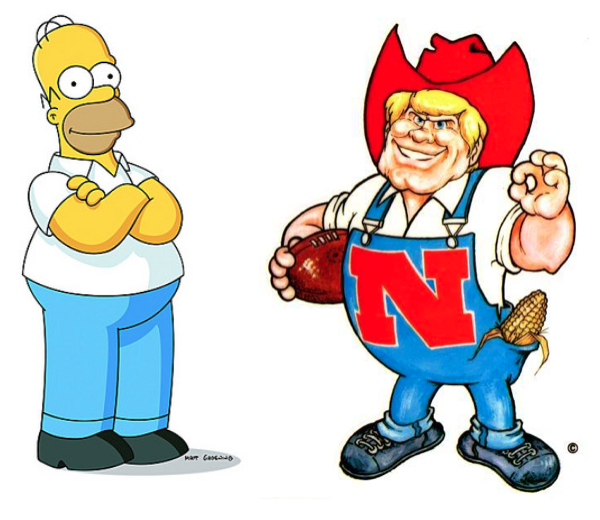 This Ameer Abdullah touchdown run was just one of many scoring plays the Huskers made en route to a clearly fluke 55-7 trip behind the proverbial woodshed. How many mistakes can you find? And please, let’s be polite. FAU’s D line getting blown off the ball and spread wider than when Moses parted the Red Sea isn’t a mistake. It’s more of a poor life decision due in large part to choosing to become an FAU Owl. Lucky for D’Joun, he and his flock (wait, do owls even flock?) of Owls can get redemption when they square off against #2 Alabama this weekend. If they can keep the Crimson Tide under 40, maybe they can make a case slightly stronger than the one North Korea made when they claimed to have beat Portugal in this year’s World Cup. 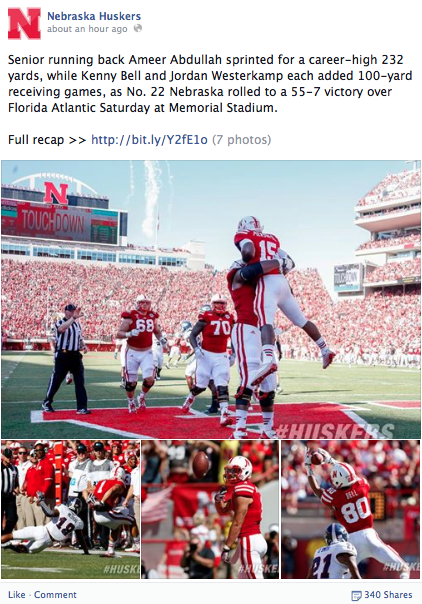 At the very least, you’d think that the FAU video department has at least one student intern who could make the FAU’s official highlight reel against the Huskers have a little more spark even if that meant adding star-wipe after star-wipe and a rocking soundtrack from KORN. Seriously, whoever uploaded this video this was so ashamed they didn’t even include a description. They just posted it without comment. 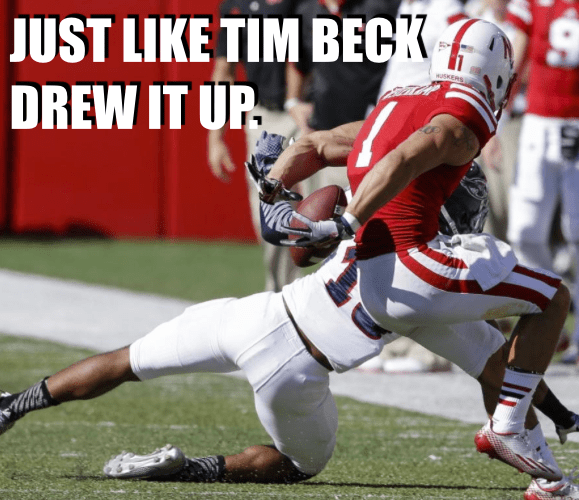 Did caps lock rage lead to changes for the Huskers? 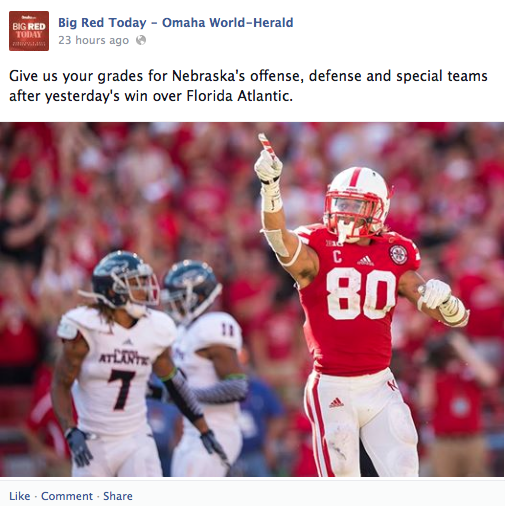 Coincidentally or not, these upcoming changes on the Huskers special teams come on the heels of Husker fan Orienthal J Newburn Sr. dropping some serious all caps rage on not one, but two of the Omaha World Herald’s Facebook posts over the weekend. 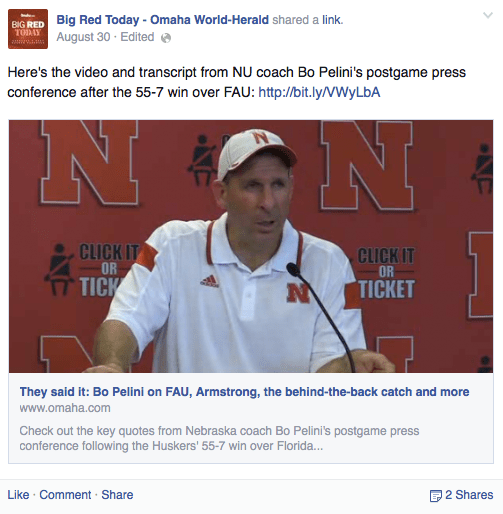 Could all caps and wanton use of punctuation be the key to catching the attention of Bo Pelini? 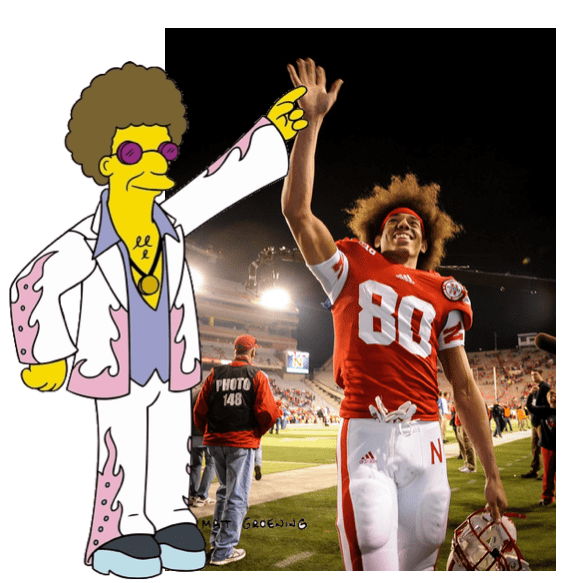 Maybe @FauxPelini was right all along.